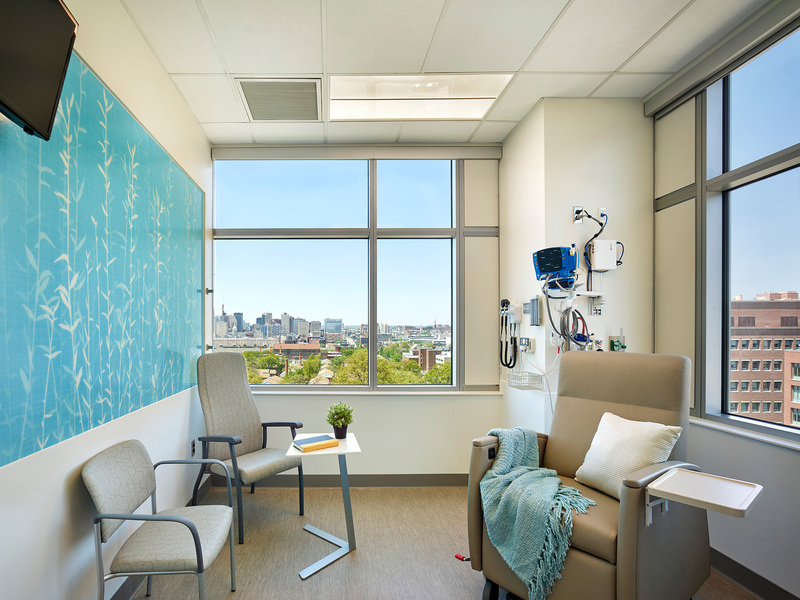 Cancer diagnosis and treatment can be a complicated and exhausting process for patients, often requiring multiple visits to different centers. 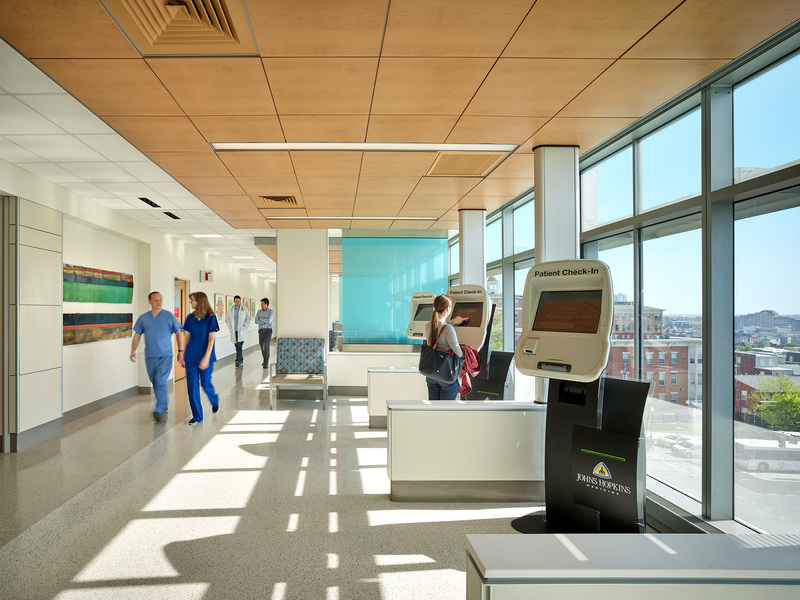 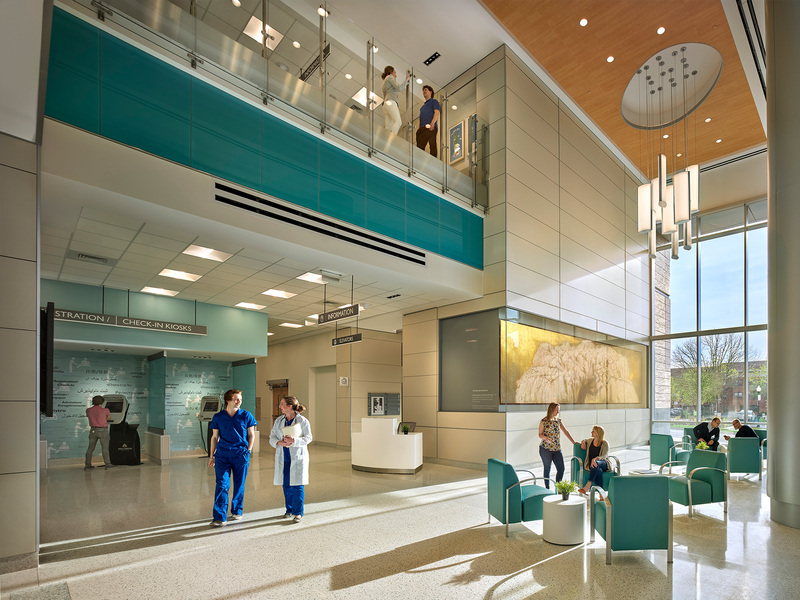 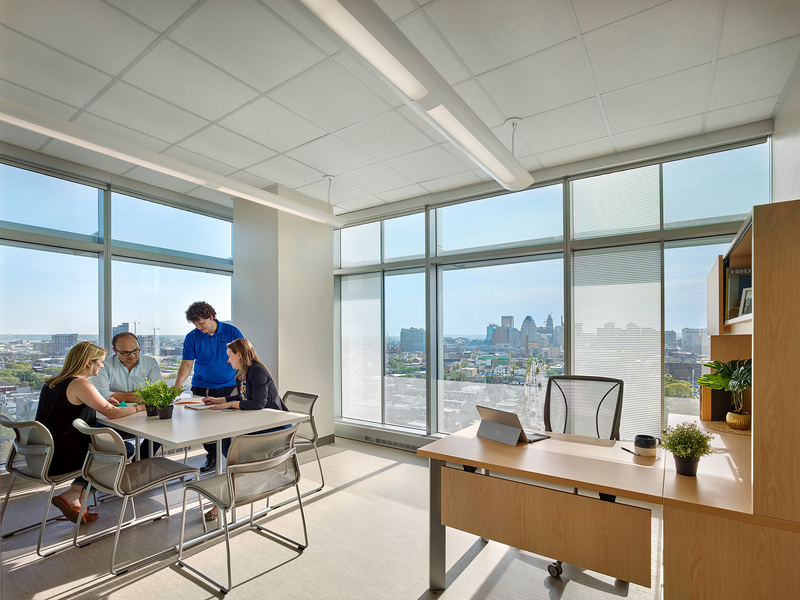 The Sidney Kimmel Comprehensive Cancer Center’s new Skip Viragh Outpatient Cancer Building aims to simplify this process for patients by creating a one-stop destination for cancer care on the Johns Hopkins Hospital campus. 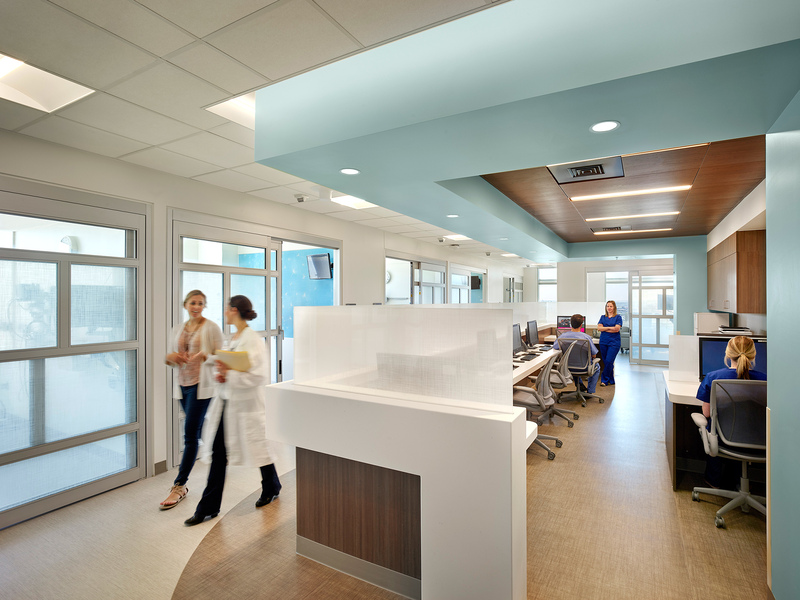 Housing a large array of diagnostic and treatment programs and multidisciplinary clinics, the facility welcomes approximately 60-80 new patients each week, averaging more than 200 patients daily overall. 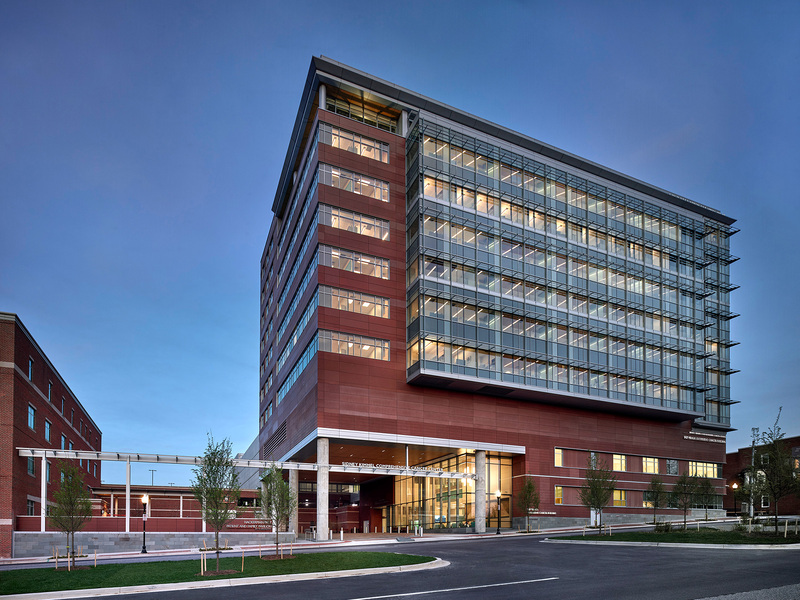 Located on a prominent, high-traffic urban street corner, the design capitalizes on the site’s elevation to promote the hospital’s brand to passersby and provide sweeping skyline vistas throughout the 10-story building. 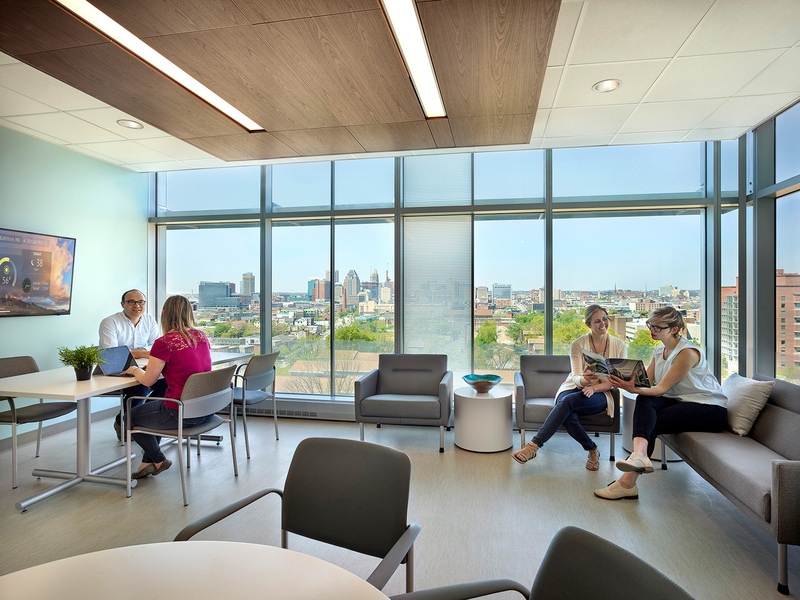 Bright, sunlit spaces, panoramic views, and a spa-like palette of interior finishes create an airy and uplifting atmosphere throughout. 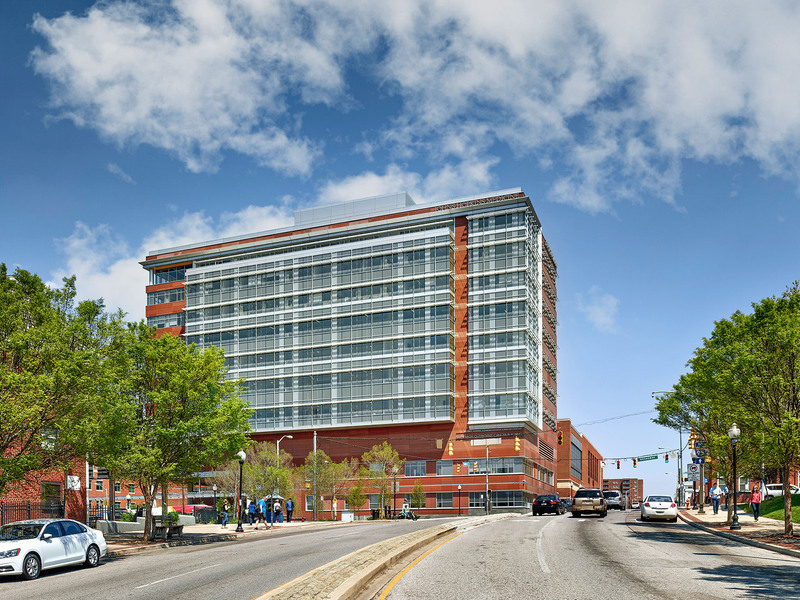 Ayers Saint Gross provided exterior design design architecture on the team.